If you want to hike Ap Lei Chau, you will be hiking on either Mt. Johnston or Ap Lei Pai. 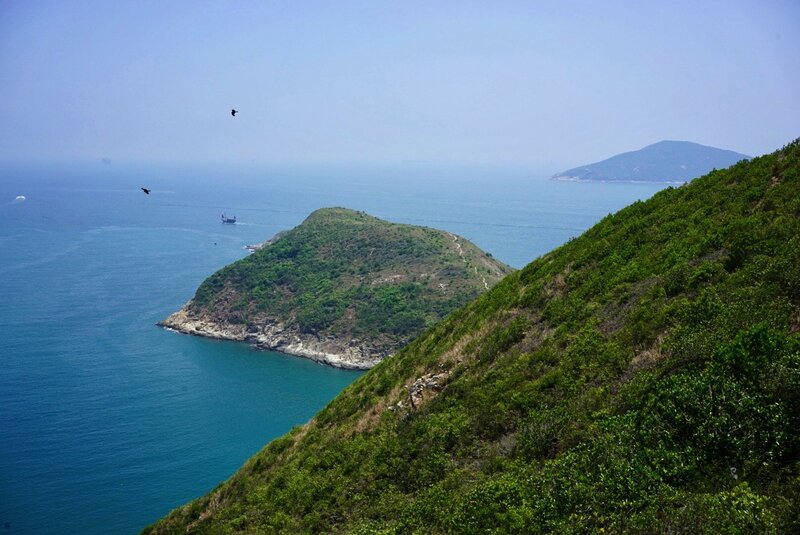 Both are coastal ridge walks, and both will afford you GORGEOUS coastal views of the South China Sea. If you’re feeling strong, you can even hike both! 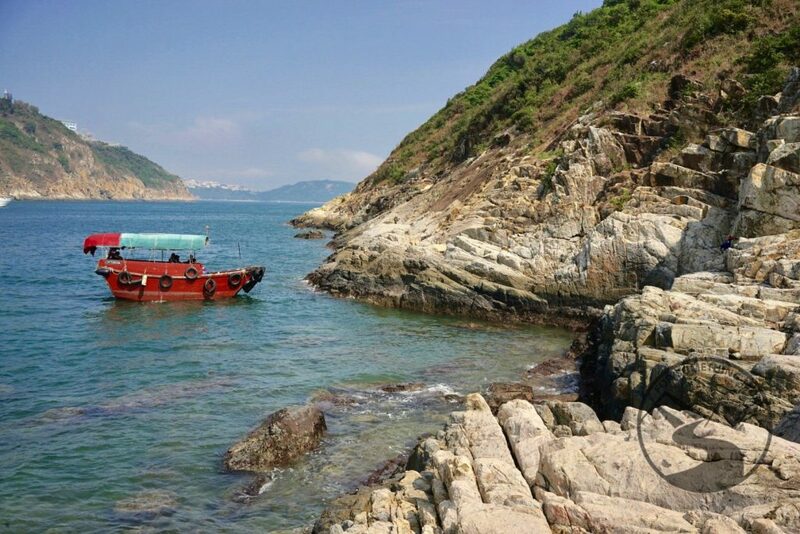 No matter what you choose, you’re going to be awestruck by Hong Kong’s coastal beauty. And just to clarify, while you don’t technically ‘hike Ap Lei Chau’ itself, we use this phrase throughout our article as it’s easier than always saying ‘hike Mt. Johnston and Ap Lei Pai in Ap Lei Chau’. Regardless how we write about taking a hike in Ap Lei Chau, don’t be fooled into thinking they are easy hikes since they are quite short. Both Mt. Johnston and Ap Lei Pai pack quite a punch in terms of steepness and slippery loose gravel terrain. 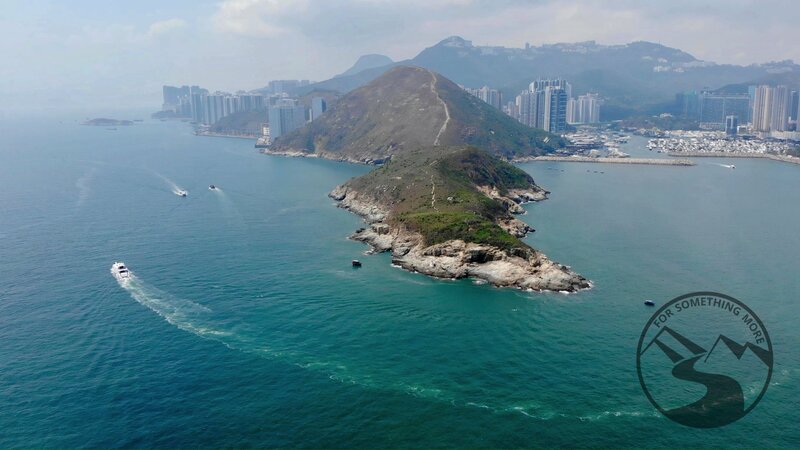 Don’t worry too much though, they also reward you with BREATHTAKING ocean views of Lamma Island and the South China Sea from one of Hong Kong’s most southerly points. And if you’re keen for a swim, you can take one from the land bridge connecting Mt. Johnston and Ap Lei Pai. This hike has it all, so if you’re an intermediate/advanced hiker you’ll NOT want to miss it! When you hike Ap Lei Chau and specifically on either Mt. Johnston or Ap Lei Pai, your main concern is going to be sun exposure. On both the Formal trail and the Bushwhacking trail, there is virtually no shade, so you’ll need to be prepared with at least the following gear. 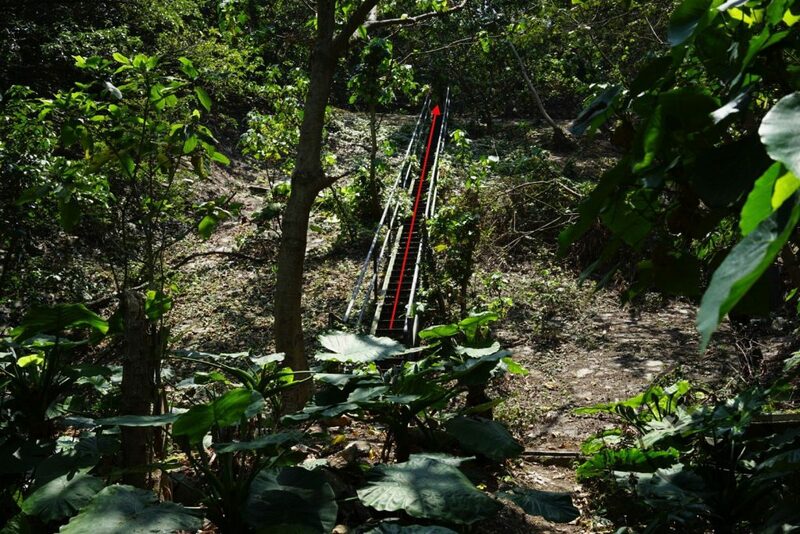 Even though when you hike Ap Lei Chau one of the routes is only ~4km round trip, this hike is quite challenging, and it’s amazing how quickly you can get dehydrated in the Hong Kong heat and humidity. We suggest that each person bring at least 2 liters of water. These Hydro Flasks are what we use, as they are reusable, rugged and most importantly on a hot day, insulated. * In the summer months we usually fill them with some ice, and in the winter we fill them with warm water. 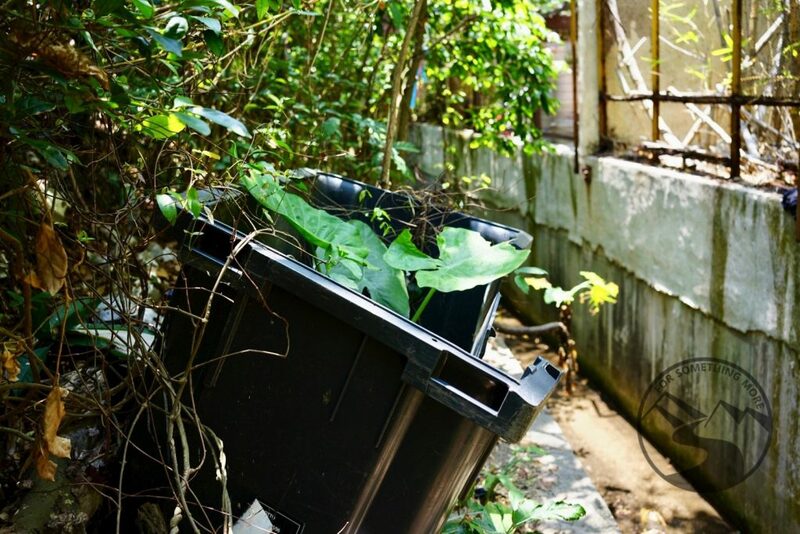 We also feel environmentally responsible using them as it’s ever important to always be living greener lives here in Hong Kong. 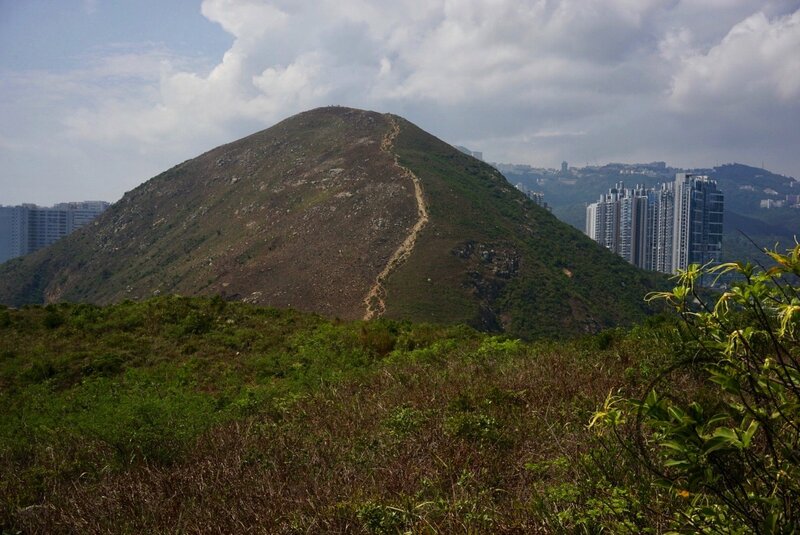 If you hike Ap Lei Chau, whether you decide to summit only Mt. Johnston or continue on to summit Ap Lei Pai too, you will definitely want a sun umbrella. As I mentioned, there is no shade on any of the routes, so a sun umbrella will allow you to make your own shade! We use something like this, and we recommend you do to. Make sure to put on some sunscreen before you hit the trail, and also make sure to bring some extra so you can reapply it once you’ve started to sweat it off! Given the relatively short distance of both routes we detail below, you might think hiking poles are unnecessary. However, when you hike down Mount Johnston and Ap Lei Pai, you will almost certainly want some poles. We both bring our hiking poles, and our knees are always grateful. In the summer, this item is optional, but if it’s cool or windy, we usually bring our raincoats. If you hike this at night, which is THRILLING, you’ll definitely want your raincoat/wind breaking layer. Women, we recommend this Marmot raincoat*, and men, this Marmot raincoat is what we recommend. On the topic of night hiking, if you do decide to hike Ap Lei Chau at night, you’ll need a head torch. We use these ones. Definitely bring a spare torch as well as extra batteries too. Bring a power bank if you’re using your phone to navigate. We often use our phones out on the trails to look at Google Maps, so we seldom leave home without our power bank. Depending on the season, you’ll want to bring bug repellant. If you’re in Hong Kong in the summer and you hike Ap Lei Chau (whether you hike Mt. Johnston or Ap Lei Pai), you will want to bring some bug repellant. If you’re an advanced hiker and you choose to follow the bushwhacking trail, you will DEFINITELY want some bug spray. A picture/visual is worth a thousand words, so before you read any further, have a look at our Hike Ap Lei Chau Google Map. It’s going to make the rest of this trail guide much easier to understand. You can also use our Google Map to navigate when you’re out on the trail! 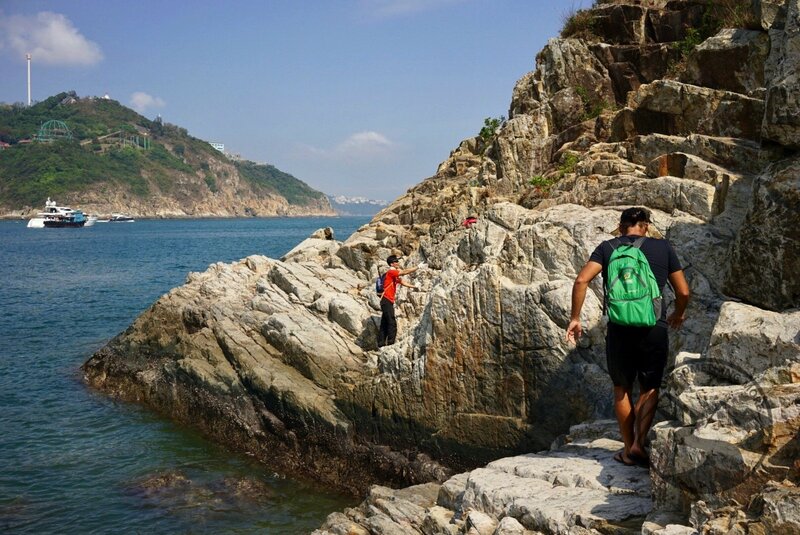 Although on the map there does not seem to be too many routes to take when you hike Ap Lei Chau, there are indeed MANY ways to go. Below, we are going to detail two ways. You can see them on our Hike Ap Lei Chau Google Map. The same Google Map is also below in the “Our Route” section. 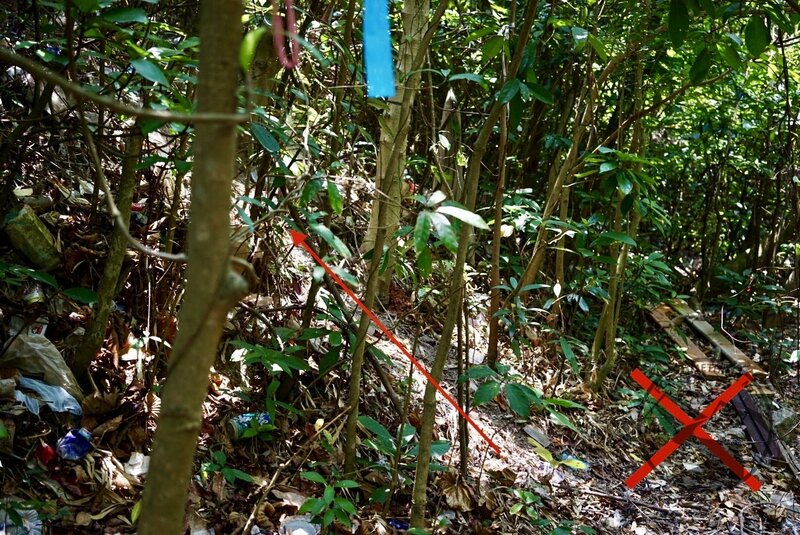 One of the routes is called the “Formal Trail” and one is called the “Bushwhacking Trail.” As you’ve likely already figured out, one is a bit more straightforward and easy to follow, and one requires you to scramble through the brush and fight off swarms of mosquitoes. Both are GORGEOUS and thrilling in their own right. We recommend intermediate hikers follow the formal trail, and we recommend only advanced hikers attempt the bushwhacking trail. 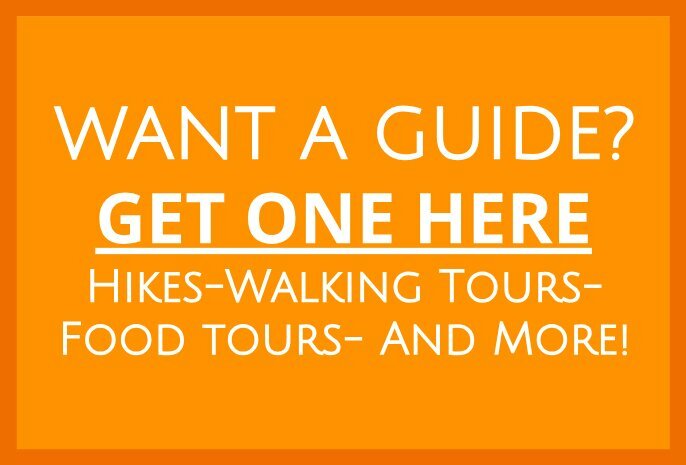 Neither of these routes are particularly suitable for a beginner hiker. If you are a beginner, and you’d like to experience some of Hong Kong’s amazing coastal scenes, consider hiking to the beautiful beaches of Yung Shue Ha over on Lamma Island. 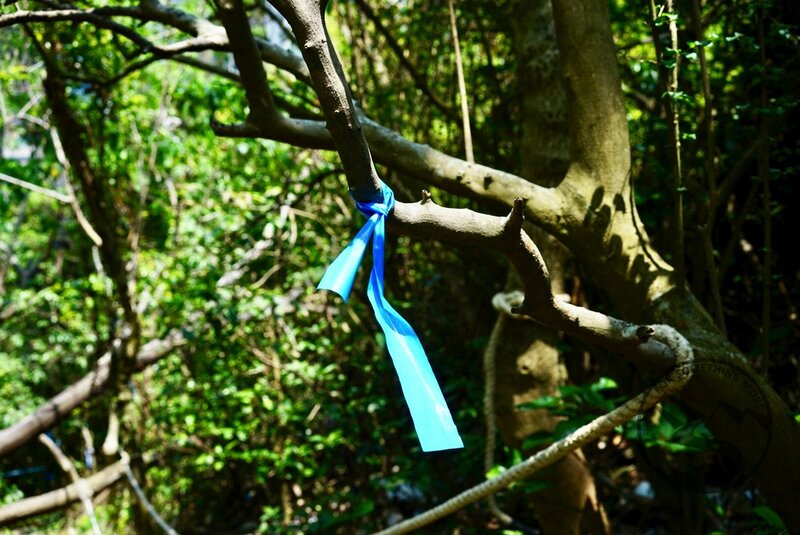 When you hike Ap Lei Chau and take the formal trail, you will start at the Lei Tung MTR station (exit B), summit Mt. Johnston then summit the peak of Ap Lei Pai, and then eventually you will reach the lighthouse at the end of Ap Lei Pai. At that point, you will have to turn around and retrace your steps back to the Lei Tung MTR station. The elevation profile below only shows the route covering: [Lei Tung MTR Station (Exit B) → Mt. Johnston → Ap Lei Pai Peak → Lighthouse at the end of Ap Lei Pai]. 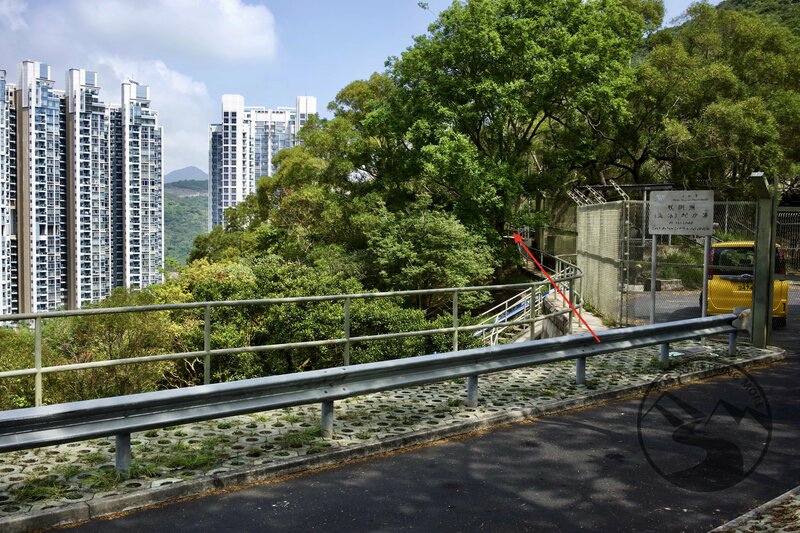 Since you’ll have to simply retrace your steps to get back to the MTR, the elevation profile for the hike back to the MTR is simply the one below, read in reverse. 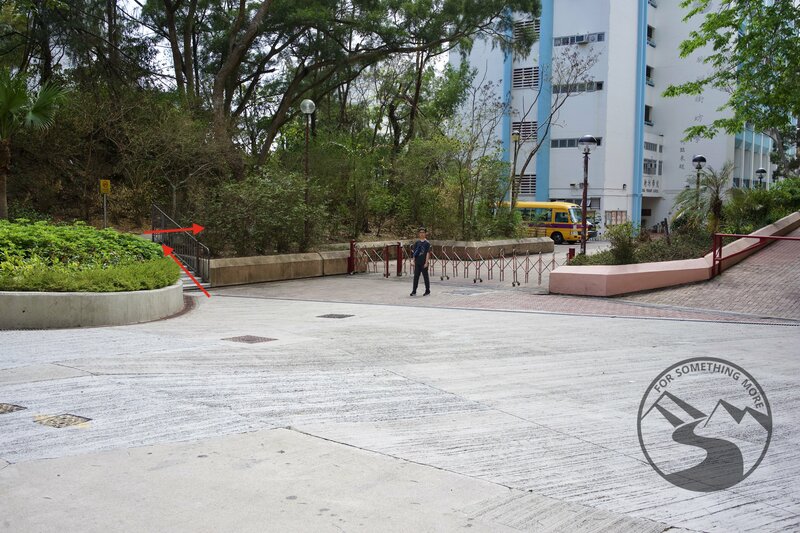 The start of this trail, even using our Hike Ap Lei Chau Google Map route, is a little difficult to find. That is why we have provided you pictures of it below, in the “Our Route” section. Once you’re past the beginning part however, the trail is not difficult to follow, as the it’s very well worn. Again, this option is NOT for beginner or intermediate hikers. This route is difficult to follow, requires you to do a lot of scrambling through brush (for short stretches, nearly on your hands and knees), and is FULL of mosquitoes. 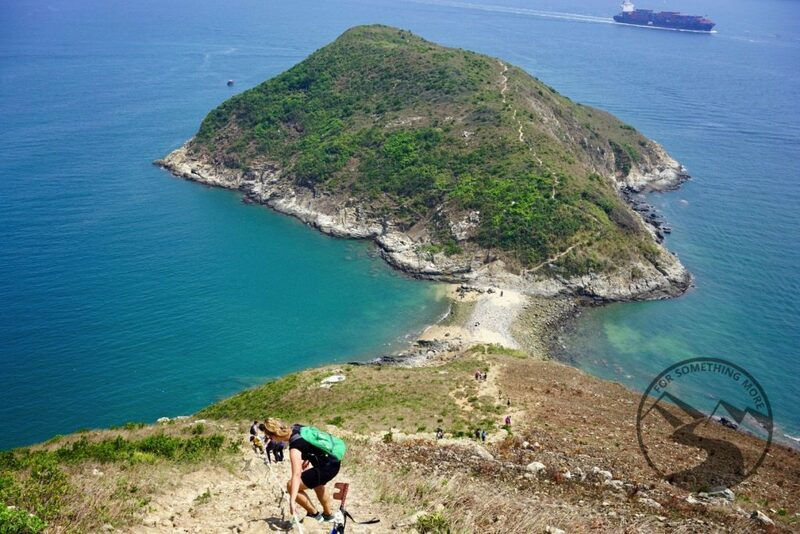 HOWEVER, if you’re a thrill seeker, and you like the feeling of being nearly off trail and blazing your own path through the Hong Kong “wilderness”, this would be a good option for you. 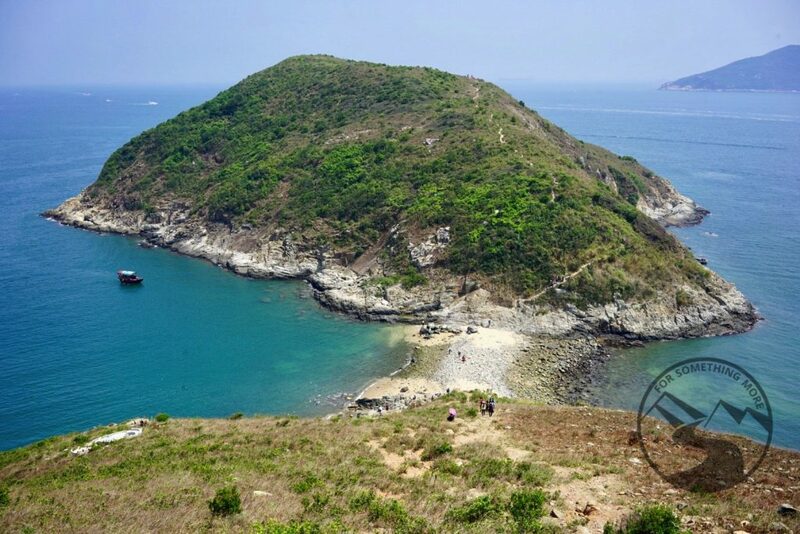 Additionally, this option will afford you GORGEOUS views of the Aberdeen Harbor as well as an interesting side view of Ap Lei Pai (see the picture above), but again, this is NOT for beginner or intermediate hikers. In addition, this route starts right next to The Larvotto apartment complex. It does NOT go up and over Mt. Johnston, but instead it goes around Mount Johnston. Eventually, this bushwhacking trail intersects with the Formal trail, and becomes one of the same thereafter. When you reach the lighthouse at the end of Ap Lei Pai and turn around to set back home, of course you can simply retrace your steps back over the entire bushwhacking trail, or you can take the formal trail the whole way back. A quick look at our Hike Ap Lei Chau Google Map route will make this all much easier to understand. The distance and elevation gain information below the elevation profile shows figures for following the bushwhacking trail both to and fro. There is no water along either the Formal or the Bushwhacking route. Again, even though both routes are quite short, we recommend you bring at least 2 liters of water per person. Once the map is open on your phone, follow along as you’re hiking. Just don’t forget to look up every now and then to enjoy the spectacular scenery! MAP NOTE: Once our Mt. Johnston and Ap Lei Pai route map has popped up in your Google Maps app, don’t forget to click on “View Map Legend” at the bottom of the map to be able to toggle between both the Formal Trail and the Bushwhacking Trail. On the map above you can click the menu icon to see the Map Legend. After exiting the MTR elevator, you’ll walk left, cross the street, and then walk uphill until you see this in front of you. Then, walk up those few stairs, and turn right. Walk for ~10 seconds. Take the MTR to Lei Tung Station, and use the Exit B elevator to get up to the street. If you’re new to Hong Kong, here is an MTR system map. Exit Lei Tung via the Exit B elevator, and once you’re on the street, walk left out of the elevator. 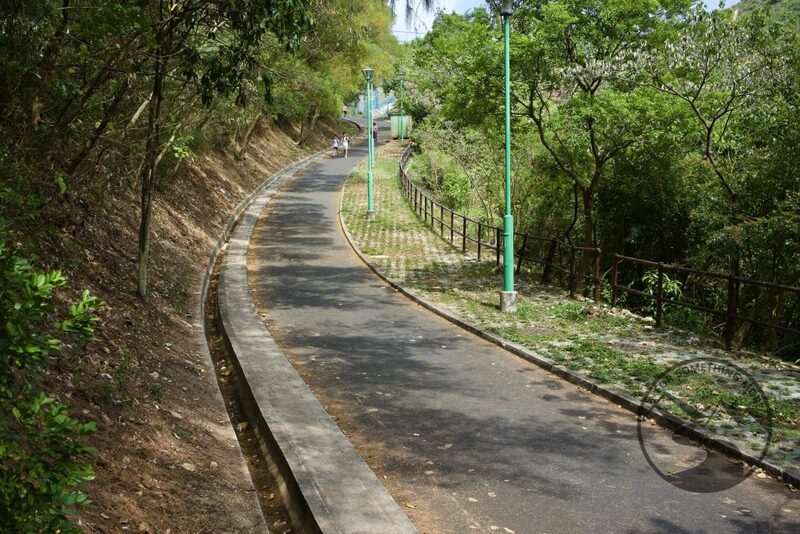 Cross the street, start walking uphill, until you see the places in the images below. The first part is the only one that is a little tricky, so don’t worry. 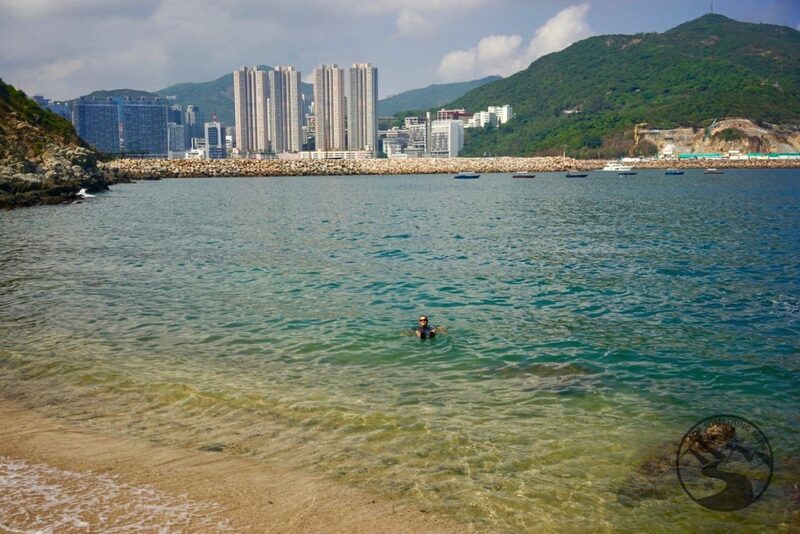 The with the pictures below and our Hike Ap Lei Chau Google Map, you should be good to go! After snaking your way along that fence for a minute or so, you should have no problem following our Hike Ap Lei Chau Google Maps route. Take the MTR to Lei Tung Station, and use Exit B to get up to the street. 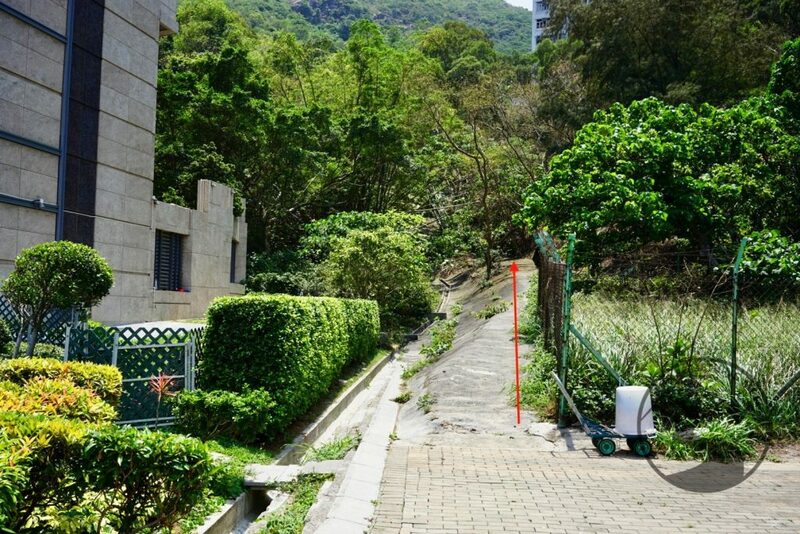 Weave your way through Lei Tung Estate and ultimately, walk to the drainage ditch to the right of building #10 of the Larvotto. Here is a Google Maps link to the exact spot you’ll start from. As the start to this route is also a bit tricky to follow at first, we’ve provided you some pictures below. Broadly speaking, the bushwhacking trail is marked by blue ribbons, and for nearly the whole thing, they are quite easy to follow. If you also use our Hike Ap Lei Chau Google Map, you’ll likely not get lost. When you see this dumpster, you’ll know your on the right track. Immediately after the dumpster, take a sharp left uphill. Take this sharp left uphill, immediately after the dumpster. 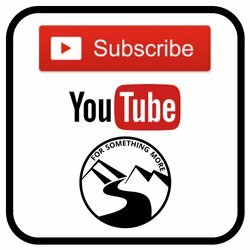 Regardless which route you choose, for both the Formal and Bushwhacking trail, the most reliable way to get back to your starting point is, of course, to hike back. 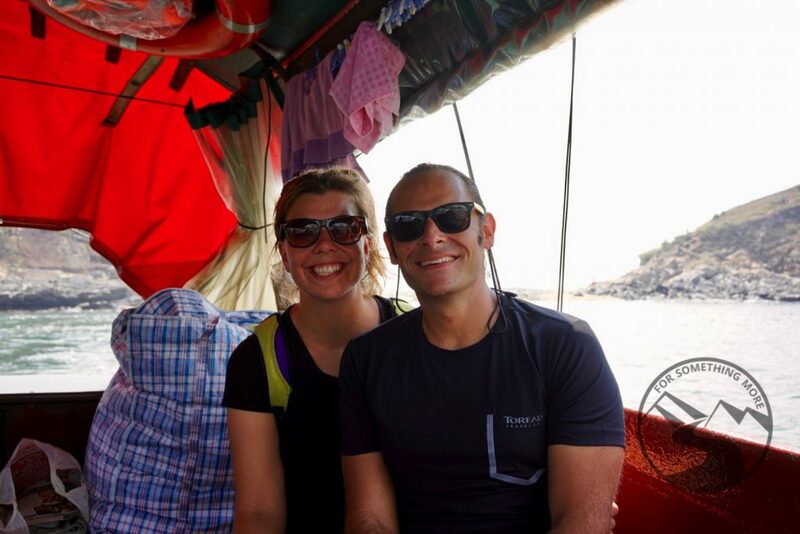 However, if you’re willing to try and flag down a Sampan on the land bridge between Mount Johnston and Ap Lei Pai and pay HK$40/person, you can actually take a boat ride back to Ap Lei Chau and it will let you off right here on the Ap Lei Chau Waterfront Promenade. 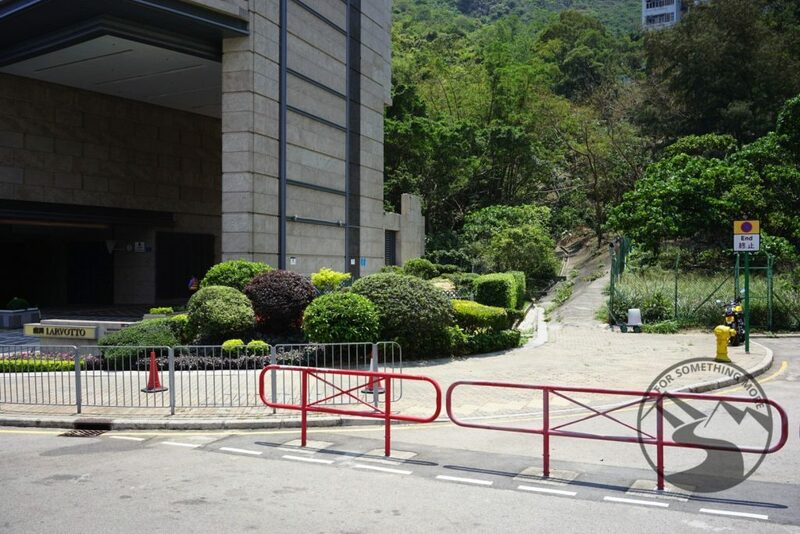 From the waterfront drop off point, the nearest MTR entrance is via Lei Tung Exit A1. We opted to take a boat ride back, and it was a fun and relaxing way to end our hike! Carefully make your way over to the boat, and get on! 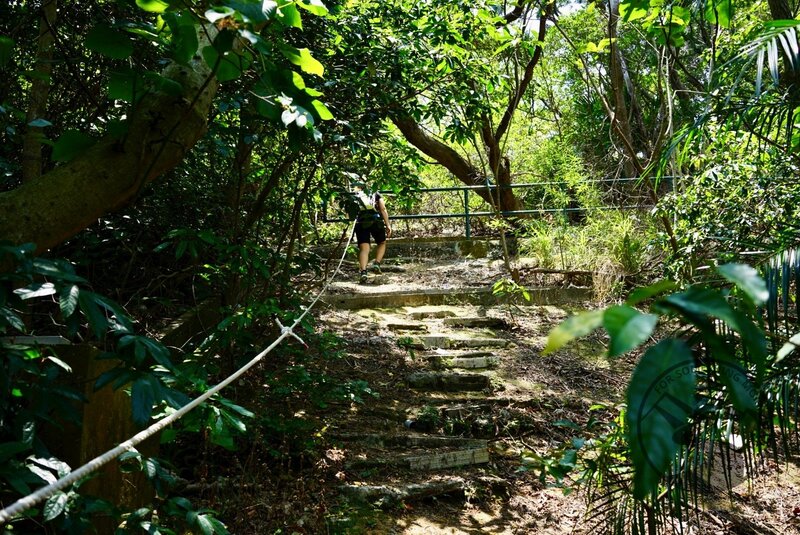 By now, you have all the information you need to hike Ap Lei Chau, so all you have to do is get on your hiking shoes and start heading up Mount Johnston and Ap Lei Pai. If you’re keen for another hike that will afford you gorgeous views looking south into the South China Sea, you ought to hike Mt. High West in Kennedy Town and afterwards grab a bite at one of the many delicious and affordable restaurants in Kennedy Town. 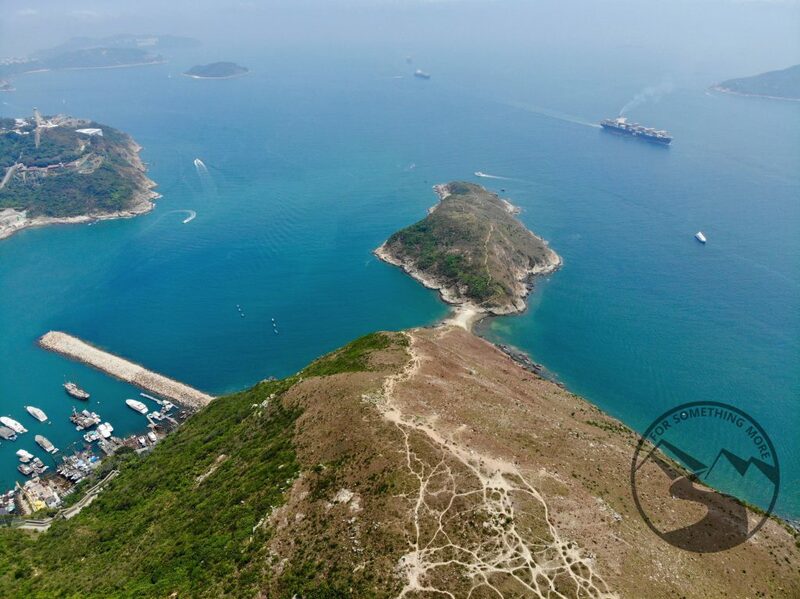 If you’re not feeling like coastal views but instead want stunning views of Kowloon, Victoria Harbor and Hong Kong Island, you ought to consider hiking Suicide Cliff. No matter what you decide to do, leave us a comment below, or reach out to us here letting us know what you think about all of this!